Where’s Waldo? Well, from July 3rd to July 10th, 2015, he was right here in St. Albert! The St. Albert Public Library ran their Great Waldo Hunt for the second year in a row, and Arts and Heritage St. Albert were excited to be involved once again! 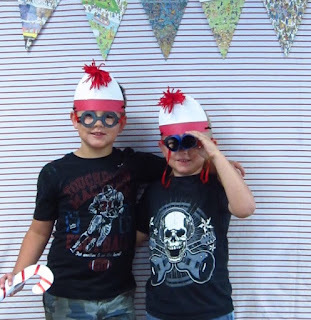 At the Kick-Off Party for the event, held in the lobby of St. Albert Place, Amanda and Kay, from the Art Gallery, ran their popular Waldo-themed photo booth, while the Musee Heritage Museum provided lemonade and cookies, which the kids could decorate with frosting and sprinkles. 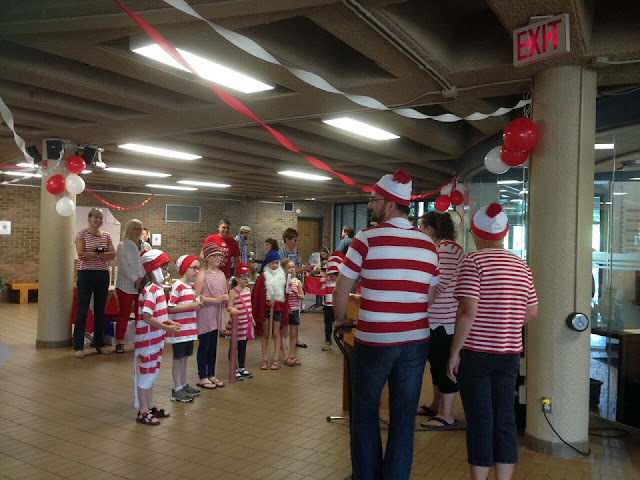 The library staff ran a Waldo dress-up contest with City Councilor Tim Osborne judging the costumes. 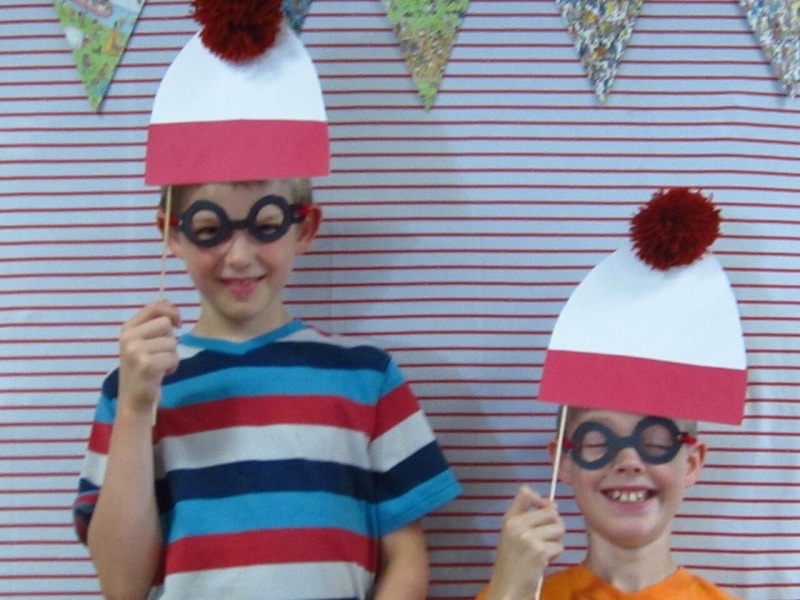 Throughout the week long event museum and heritage site staff had a small Waldo cutout hidden at their locations which included the museum, the Little White School, the St. Albert Grain Elevator Park, and the Father Lacombe Chapel. 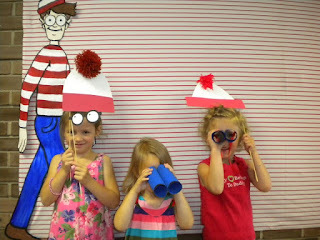 Hundreds of people came to those sites, as well as the Art Gallery, the Library, and the various participating businesses in town, so they could find Waldo. At each site, participants would hunt for Waldo, and when they found him, the staff would stamp for their passports. If a participant was able to get a stamp from each place then he, or she, could enter a draw for some great prizes! On Friday the 10th, there was a Wrap-Up Party, again in the lobby of St. Albert Place. Lemonade was provided by the museum and library, and the library also provided cake. 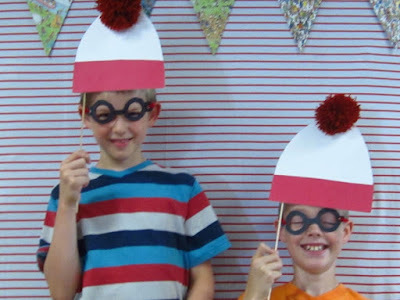 The museum and art gallery staff ran two different crafts: Waldo glasses and toques. After making their own glasses and toques, visitors could show off their new looks in the art gallery’s photo booth. 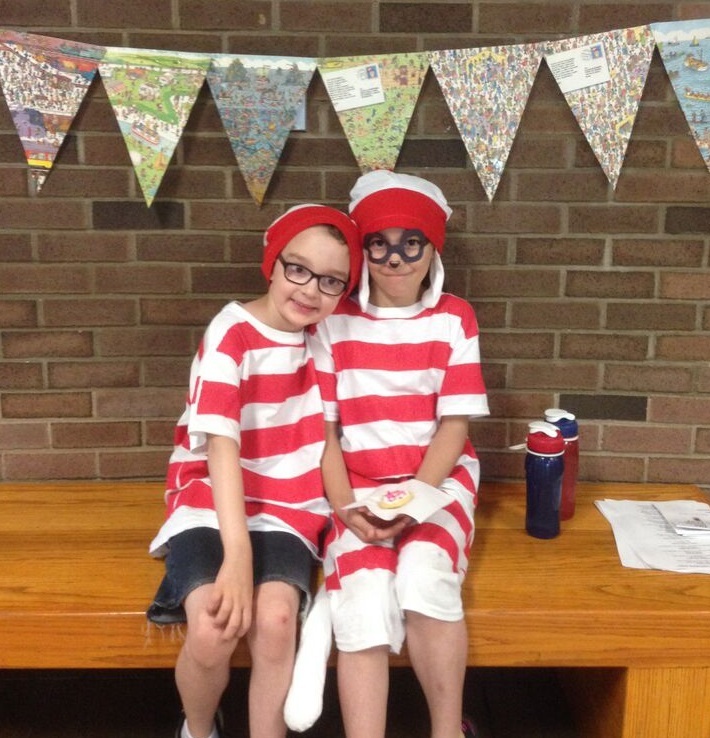 The library also had a Waldo-themed scavenger hunt setup throughout St. Albert Place. In all, a great event, and it was a real treat to see so many people at the museum and heritage sites as they "scoured" our community working to locate all the hidden Waldos! Special thanks to the St. Albert Public Library for including us in the Great Waldo Hunt 2015.